If my mother, Ruth, were still alive, she would have turned 90 today. Sadly, she passed in 2004, just shy of 85. Here are some pictures from her life - enjoy! 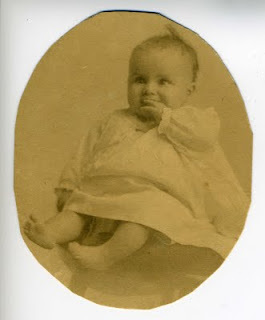 Here she is at 10 months old, taken in 1920. This was found while working on cleaning out the house. 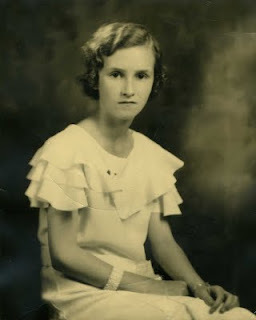 I believe this is the photo taken upon her graduation from secretarial school. Mum gave me this picture of herself a long time ago. She seemed so serious! 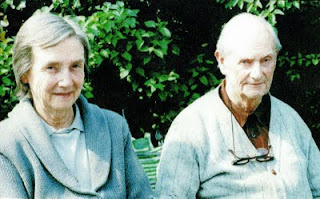 This is both of my parents, in my front yard, sometime prior to 1990. I believe it was taken by my sister. 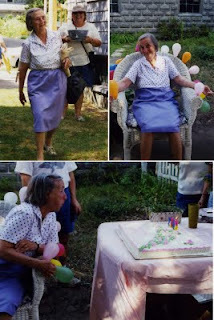 And here is "Ruthie" at her 80th birthday party. Finally enjoying herself! How sweet. I love the childhood photos of her. And will be back to check in later this week regarding your laundry! lol! Thank you for sharing this, Judi. Beautiful photographs- beautiful memories. Beautiful tribute to your "Mum." Mine just turned 80 this year. I don't know what I'd do without her. Hugs. I love the photos of your mom! Happy Birthday, Ruth! Nice tribute to your Mom... nice pictures. God bless. Lovely photos, and I'm sure glad you shared them. Thank you one and all, Mum would be so pleased for all of your well-wishes I'm sure. She was quite a lady!